Introducing Lúna! Lúna is a modern and futuristic sans serif font family. The combination of futuristic and geometric elements renders a modern design. This is irreproachable sans serif to diversify your headlines, branding visual identity, poster, logo, magazines and etc. 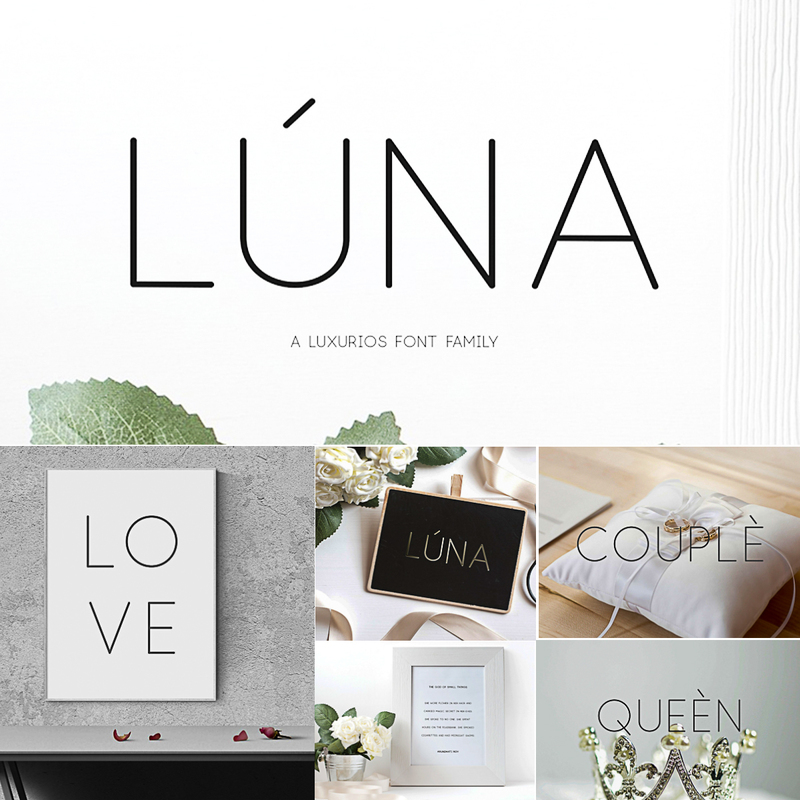 Tags: bold font, feminine font, font family, ligature, luxury typeface, minimal, premium font, sans, typeface, wedding font.